James Bond movies set the standard for action, adventure and intrigue and whilst Ian Fleming was a master of the spy-thriller genre, many films and television series have followed in 007's footsteps to add to an ever-growing genre of espionage pictures and novels. Spy films have been produced almost since the beginning of popular motion pictures and the silent movie era. Film historians often cite pictures as early as "The German Spy Peril" (1914) and a selection of others from this era as the birth of the genre - but like anything in popular culture, espionage adventures are ever-evolving. 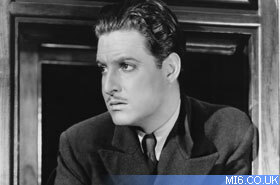 Film such as "The 39 Steps" (1935) and a raft of other Hitchcock-helmed productions have become cult classics and to this day - together with some of the most memorable 007 adventures - keep the interest in spy-thrillers alive. James Bond popped up on the spy-fi radar in 1962 and changed the methodology of the genre in a variety of ways. Bond added both fantastical elements, gadgets and girls, as well as an underlying brutality not seen in filmmaking or characterisation to that point. Today there are many parallels to 007, other famous spies and spy-thrillers that have borrowed from and shared a common ground with Fleming's creation. The quality and originality within the much-loved genre ranges from the bizarre to the brilliant and many series have made their own mark on film and television history. The other common link to the Bond cannon is the parody or spoofing of Bond and its genre. 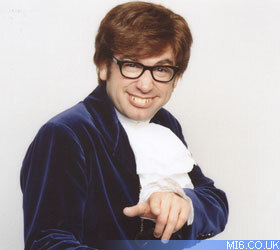 The "Austin Powers" series pokes tongue-in-cheek fun at some of the scenarios that 007 has found himself in, whilst "The Avengers" sees a debonair and charming duo take on spies both serious and supernatural in a lighthearted spying adventure. MI6 has trawled the archives to compile a comprehensive list of spy-thrillers, spoofs and 007's equals throughout film and television history for fans interested in branching out.